Student moderators Mariola Czerwonka ’19 (left) and Miguelina Feris ’20 (right), flank three Bryant alumni who participated in a panel discussion aimed at helping students think more globally about internship and career opportunities. 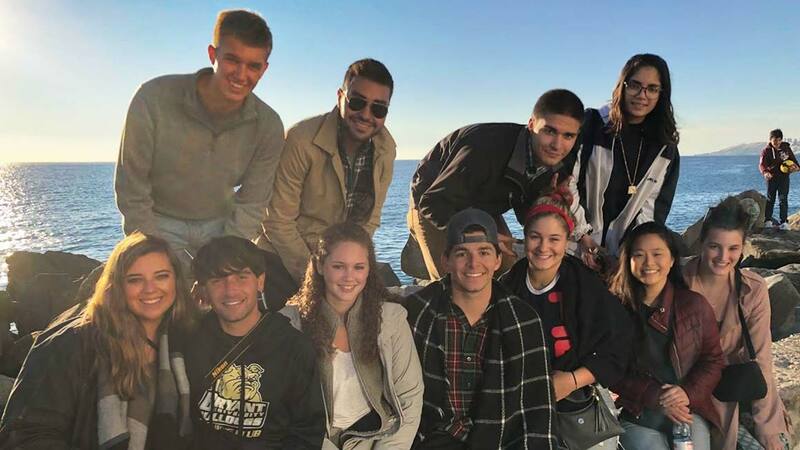 This year’s International Education Week helped Bryant students expand their horizons and better understand the world around them. 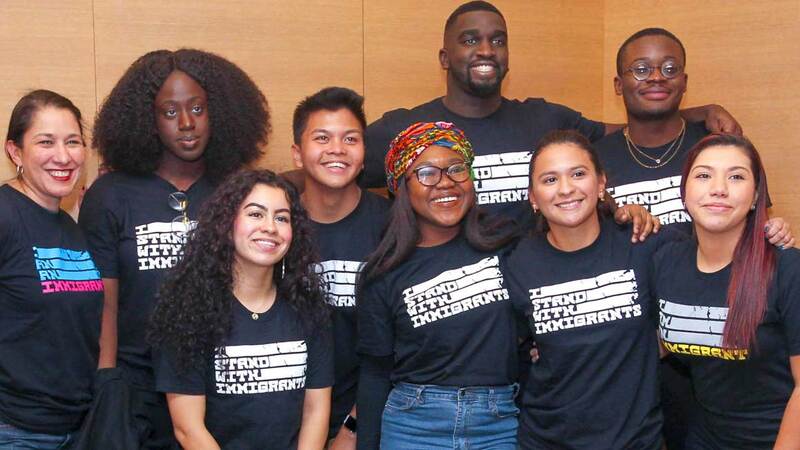 The campus component of the national program, a joint initiative of the U.S. Department of State and the U.S. Department of Education, was organized by Bryant’s International Student Organization with support from the University’s Division of International Affairs and PwC Center for Diversity and Inclusion. Its purpose: to inspire a culture of diversity and embrace diverse perspectives. 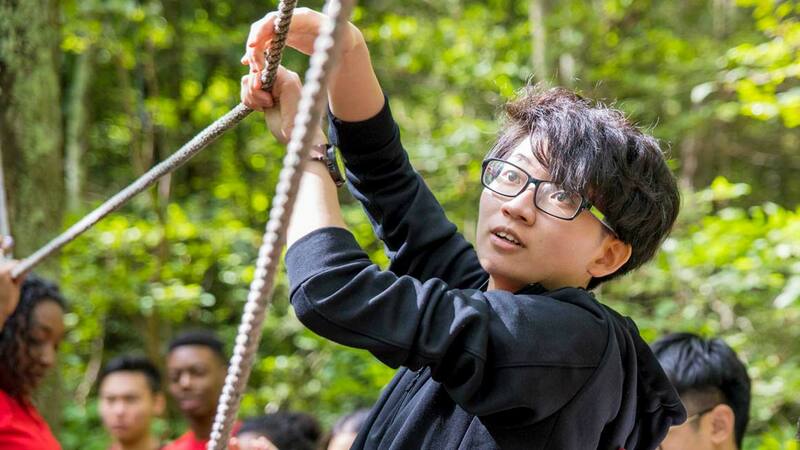 “International Education Week provides students a vital opportunity to deepen the global perspective that is part of their Bryant experience and will serve them well throughout their lives and careers,” notes Hong Yang, Ph.D., Bryant’s Vice President for International Affairs. The week included myriad speakers who shared unique insight into a range of subjects. Maasai Tribal Chief William Ole Pere Kikanae gave an empowering talk about his work preserving the Maasai culture and traditional lifestyle. 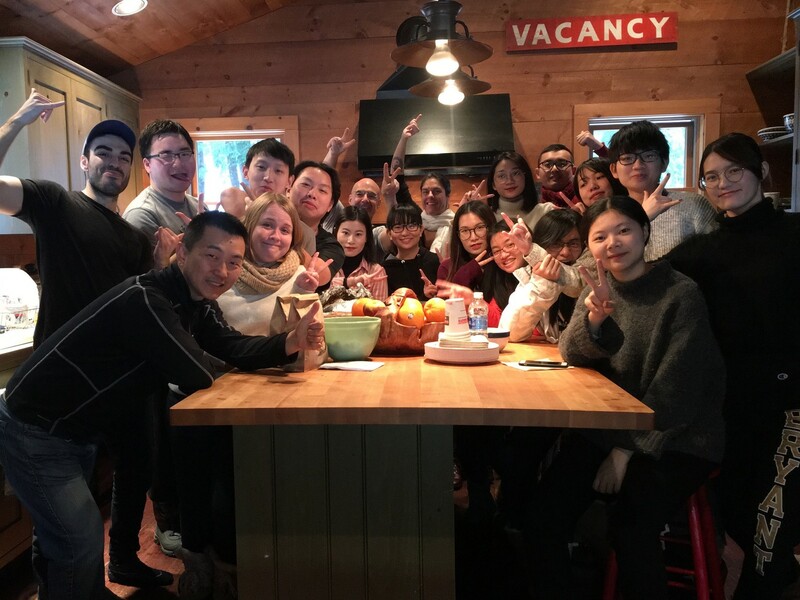 Kikanae’s visit to Bryant was exceptionally meaningful because a group of Bryant students helped establish a library for a tribal school as part of their Management 200 service-learning class. 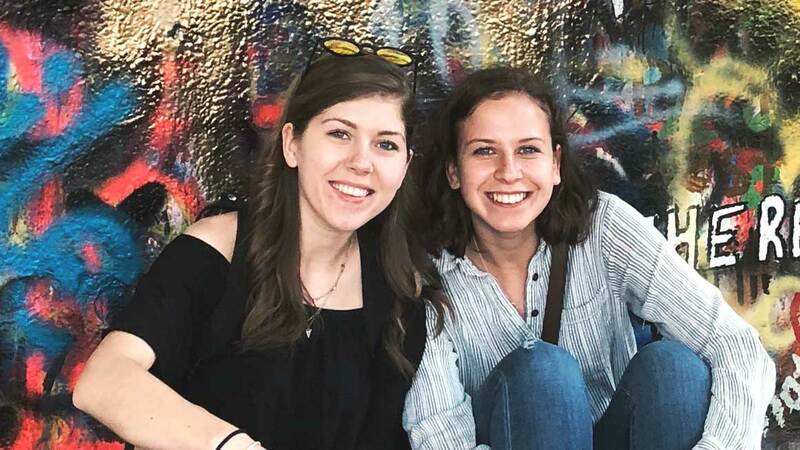 "International Education Week provides students a vital opportunity to deepen the global perspective that is part of their Bryant experience." Other events, including an international alumni panel focusing on careers and internships, helped students consider their global futures. 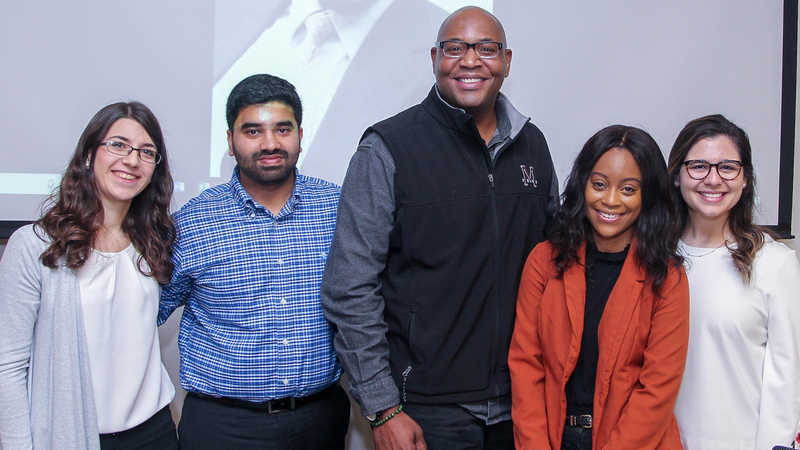 Moderated by Mariola Czerwonka ’19 and Miguelina Feris ’20, the panel included alumni from St. John, Ghana, Zimbabwe, and India, who discussed their experiences as international students and how those experiences enriched their lives and careers. They represented a range of organizations including PwC, MathWorks, and the British multinational Standard Chartered Bank. 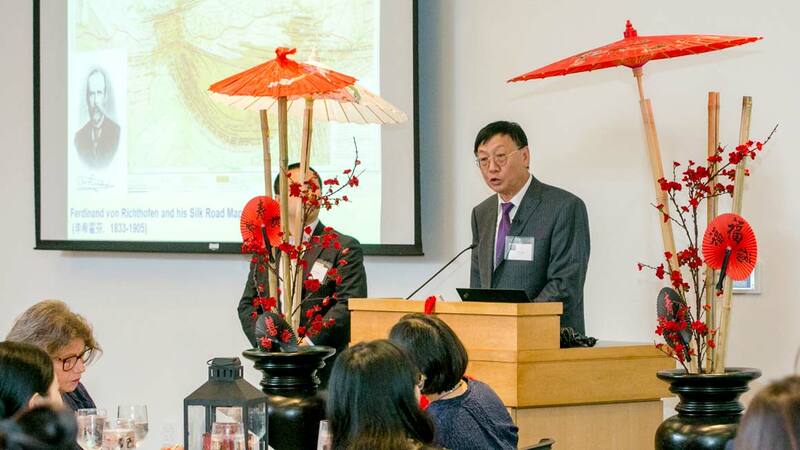 Students also took part in programs that introduced them to traditions from all over the world. College of Business Dean Madan Annavarjula, Ph.D., led a celebration of Diwali, the Hindu festival of lights, that included prayers, live music, and dance. Other programs increased students’ mindfulness of global issues. The Oxfam Hunger Banquet dramatically illustrated the effects of world hunger by randomly assigning diners to experience the meals of people with vastly different levels of income. Keynote speaker Sue AnderBois, Director of Food Strategy RI, spoke about the role her organization plays in trying to solve food-related issues, the importance of farm-to-table practices, how we can provide greater access to food, and how technology can help reduce waste.